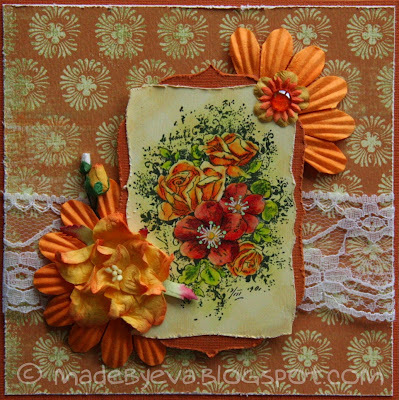 Made by Eva: Roses are... orange? 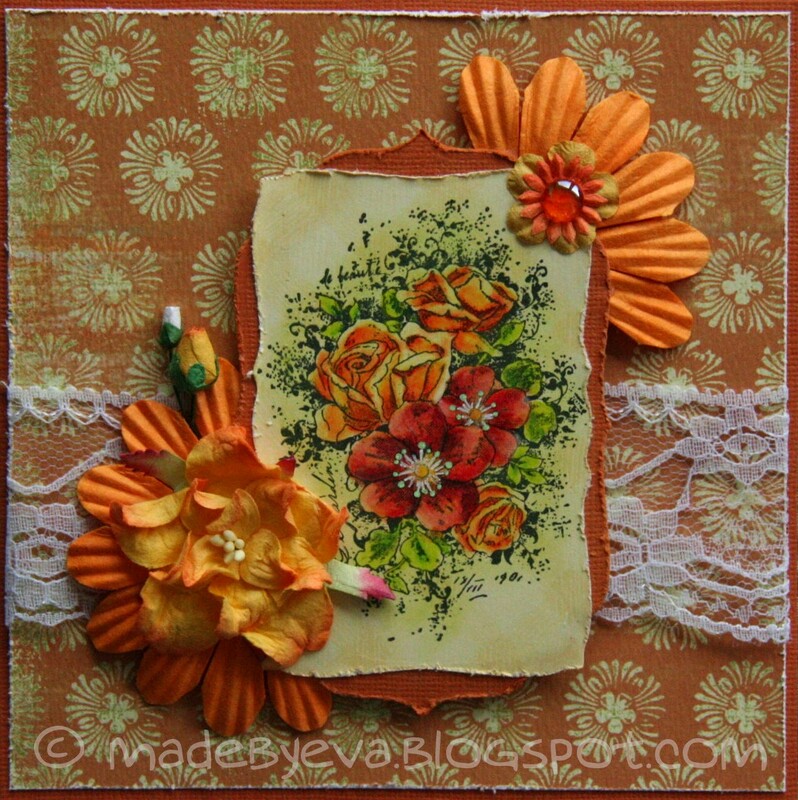 More orangey goodness, as promised! I split the large flower in two and added a few more flowers. Because the stamp is so busy I wanted to keep the rest simple - but I can see I didn't quite follow up on that intent... Oops. :P I just can't help myself these days, when I start piling on the flowers it's impossible to stop. Desperate for spring anyone? ?